Julia is happy to announce that a new lesson is currently uploading and should be ready to view and listen to shortly! The new lesson is about a visit in the Old National Gallery in Berlin. Kieron, Heiko and Elaine are meeting an afternoon to see the biggest collection of impressionist paintings in Europe. As always some emotional involvement won’t be missing! Just to let new users know: It is not necessary to start with lesson one, just let yourself inspire by the different contents! There is some helpful vocabulary for each lesson in the respective section on Julia’s WordPress blog! 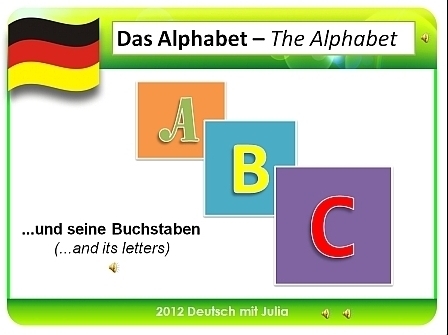 Learn with fun, learn with success, learn “Deutsch mit Julia”! Thanks again to all our followers! Happy learning! P.S. Julia is happy to say that the sound quality has much improved thanks to a new microphone and better sound settings!